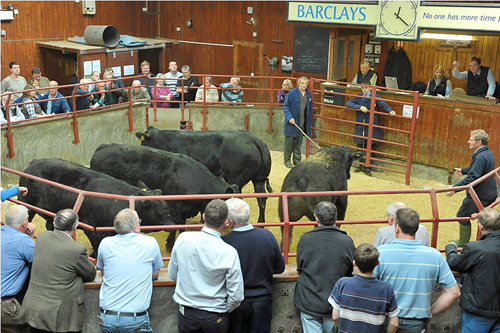 The Cumberland and Dumfriesshire Farmers’ Mart P.L.C. 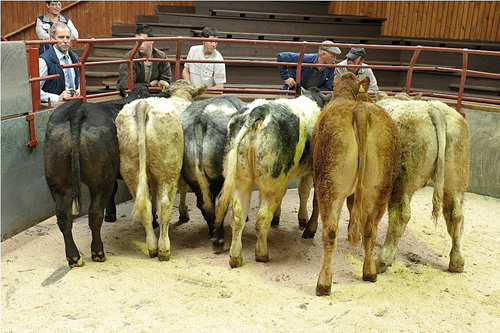 had forward a catalogue entry of 875 suckled calves at their Annual Show and Sale on Saturday 1st October 2011. 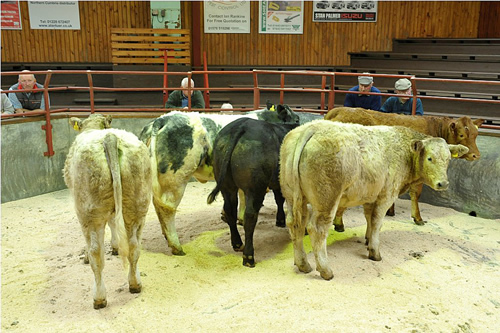 An outstanding show of cattle on offer and a real credit to all the vendors. 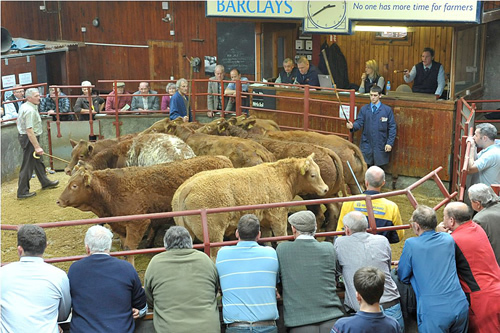 Trade was fantastic throughout with purchasers coming from all over the country, as far north as Fife and down to Norfolk. 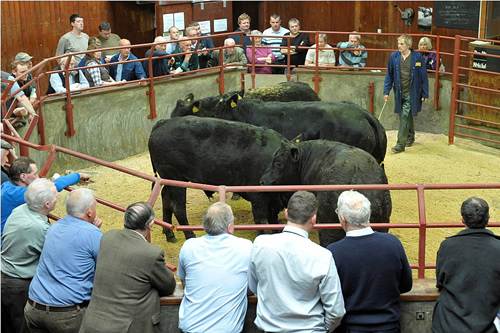 With the sale average being up £181.39 on last years record prices and 111 more cattle sold, it ensured that vendors went home delighted with their returns. 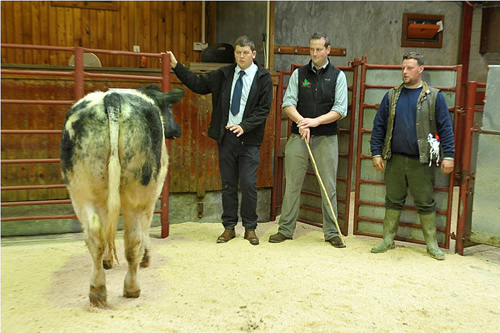 We would like to thank the Sponsors, Capontree Vets, and the Judge, Mr Richard Walton, Darlington who awarded The Championship to a terrific British Blue bullock from A. & J.N. 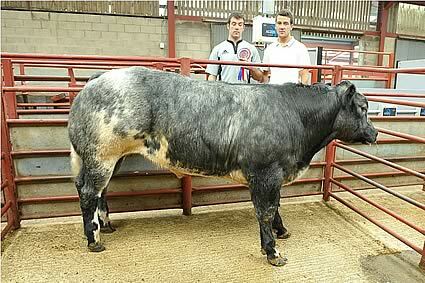 Story, Newbiggin, which later realised £1,170, the Reserve Champion went to W.G. 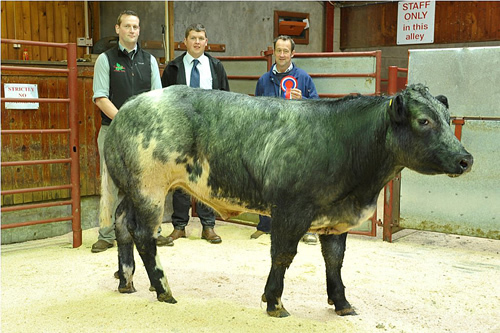 & H.M. Kyle, Spoutbank for a British Blue heifer which sold at £1,100, both of which were purchased by the judge. The cup for best Charolais was awarded to Messrs Kyle, Spoutbank for a 10 month old heifer selling at £920 and purchased by Messrs Blyth. 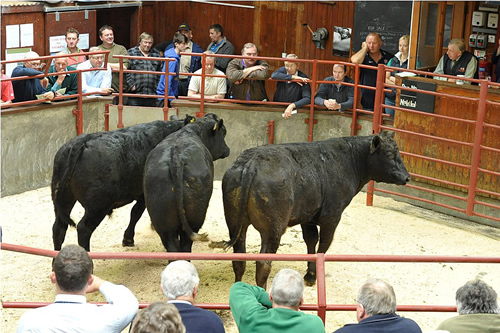 Leading consignor averages:- Nether Hill £1,096 (11), Newby Farm £1,027 (5), Beckhall £993 (4), High Dovecote £984 (8), Riggfoot £980 (12), Cherry Garth £977 (2), Howard House £972 (11), Nunscleugh £966 (103), Hillfield £963 (8), Spoutbank £947 (27). 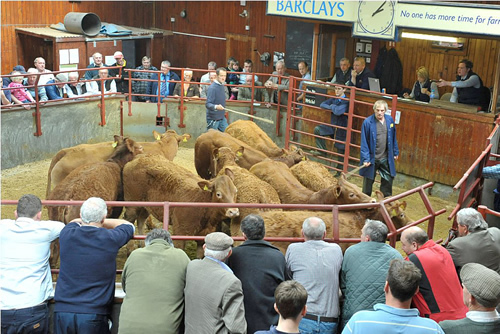 Limousin £1,240 Nunscleugh, £1,220 Newby Farm, £1,200 Howard House, £1,165 Nether Hill, £1,140 Riggfoot, £1,105 Newby Farm, £1,100 Howard House, £1,090 (x5) Englishtown, £1,090 (x9) Nunscleugh, £1,085 The Throp and Peela Hill, £1,080 Gallowberry, £1,070 (x2) The Flatt, £1,070 (x4) Englishtown, £1,070 (x4) Nether Hill, £1,070 (x10) Nunscleugh, £1,070 North Green Hill and Albierigg, £1,065 Riggfoot and Albierigg, £1,060 (x3) Gallowberry. 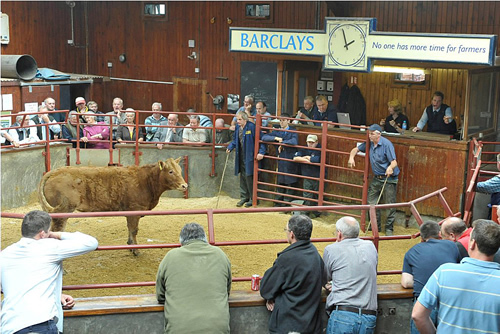 British Blue £1,170 Newbigging, £1,110 Spoutbank, £1,080 Nunscleugh, £1,060 (x2) Spoutbank, £1,055 Beckhall, £980 High Parkfoot, £980 (x2) Spoutbank. 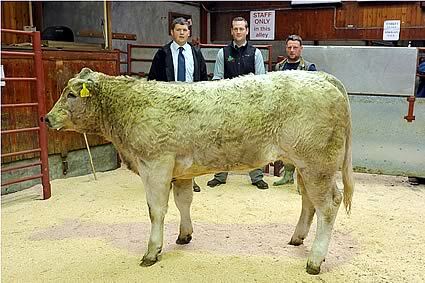 Charolais £1,100 High Dovecote, £1,080 High Parkfoot, £1,075 Riggfoot, £1,060 Cumcrook, £1,050 Riggfoot, £1,040 High Dovecote, £1,030 Riggfoot, £1,025 (x2) Riggfoot, £1,025 £1,020 (x2) High Parkfoot, £1,015 (x2) Spoutbank, £1,010 (x2) High Dovecote, £990 Cumcrook and Sutton Close. 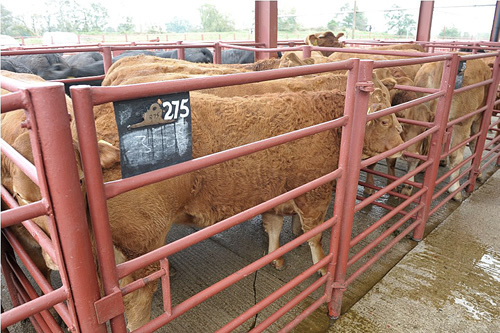 Simmental £925, £920 (x2) Walton High Rigg. Saler £890 (x4) Moss Side. 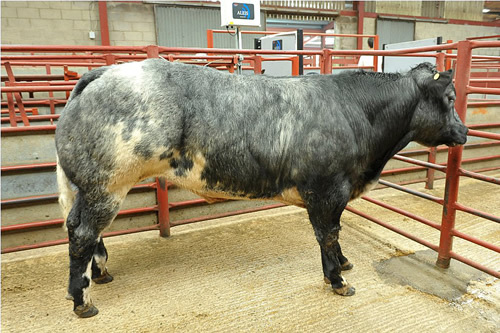 British Blue £1,100 Spoutbank, £960 Howard House and Nunscleugh, £935 Horsegills. 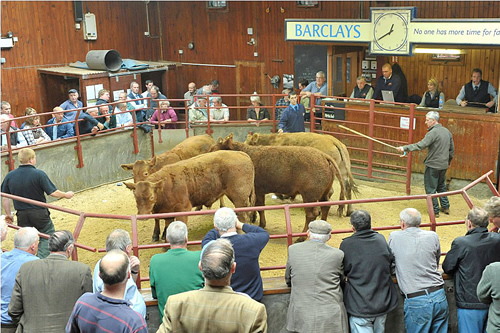 Limousin £1,370 (x2) Nether Hill, £1,210, £1,110 (x2), £1,080 (x2) Nunscleugh, £1,040 Bellbank, £1,020 Nether Hill, £1,015 Howard House, £1,010 Rinnion Hills, £1,000 Nether Hill, £990 Howard House, £990 (x4), £970 (x4) Nunscleugh, £970 Slealands, £960 The Throp and Dodgsonstown, £955 Hillfield, £950 Howard House, Englishtown, Newbiggin and North Greenhill, £945 Hill Top, £940 Peela Hill, £935 Gallowberry, £935 (x6) Nunscleugh. 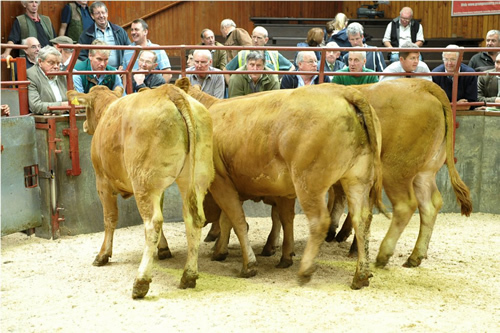 Charolais £965 (x2), £940, £930 High Parkfoot, £930, £920 Spoutbank, £890 (x4) High Parkfoot, £885 Clement Leazes, £870 Spoutbank and Cumcrook, £860 (x2) Riggfoot. 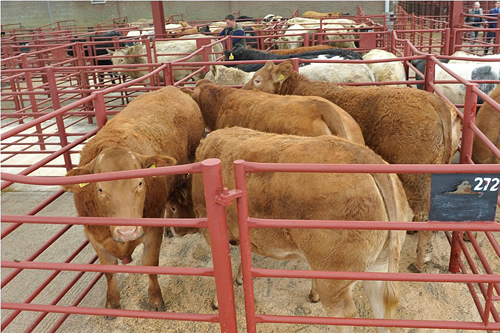 Limousin £990, £840 (x5) Harelawhill.